When a crime occurs in a community, everyone gets shocked that how someone can dare cause damage and harm to others. For many of us, it becomes really hard to figure out and comprehend the impetus hidden behind taking such a malicious and nasty action especially when the consequences may impact families, relatives, and to the criminal himself/herself as well. There are many reasons why the teens and children turn into notorious criminals. A recent study revealed that the teens-turned-adult criminals must have been bullies and caught the influence from their first invaders. Here in the post, we will highlight how teens turn into criminals, what are the incredible facts about criminal teens and how parents can deploy handy tools to help their teens prevent from becoming gangsters. A child psychologist has rightly remarked that the brain of a teen is like a new vehicle with an exceptional accelerator but weak brake; dramatically poor control that results in a big crash and might be into what we call CRIME. Let’s go deep to articulate how and why the teens become miscreants in the contemporary world. If you are the only guardian of your family as a parent, don’t ignore these factors that compel teens to grow into full-fledged criminals. Getting acquitted of small crimes and turning into a grown or full-fledged criminal are two different perspectives. It had been believed since long that it’s just the kid’s brain that forces him/her become a miscreant, but the studies have proved that a teen’s brain is supported by the financial hardships as well to shape an innocent child into a hardened criminal. The monetary segregation in the societies provokes kids to compare them with their wealthy and rich friends. They want the gap to be narrowed and ideas like theft or stealing become the basis for letting them kick off their criminal lives. As time goes by, their needs go up, and they plan to play bigger. As we described the teens, who bully their peers become criminals later on. Bullying is not also a curse and crime, but it provokes many to become a devil as well. The environment also supports kids in spoiling their habits and personality. The teens brought up among the abusive companies become abusive in the offing. They, later on, turn into criminals for revenge from the society. Our research surveyed numerous teens with varying ages, and they all blamed the bad companies for helping them grow as criminals. Parents must be vigilant whether their kids are spending time with wrong people or not. Kids, in every home, are the people who deserve most of your love, affection, and care. The kids who are neglected by the families and parents want to change their lives by falling into bad companies. The poor attention and lack of love pump up their rage, and they start joining wrong people to shape their future and wishes. Thus, the family and ultimately the parents become a force to let them channelize their positive attitudes and energies into the very wrong dimensions. The research we organized revealed that the kids and teens that live in the companies of criminals end up their lives by turning into criminals as well. Peer pressure is another factor that the juvenile is subjected to when it comes to becoming a criminal. When the kids spend most of their time among such people, getting their influence is naturally inevitable. Such gangs and group support children to become more confident by training them to attack and commit crimes publically. The teen that may turn into criminals is usually fearless. Such teens have greater exposure to crimes. They might be mentally deformed. They might have frozen facial expressions that hardly anyone can understand. 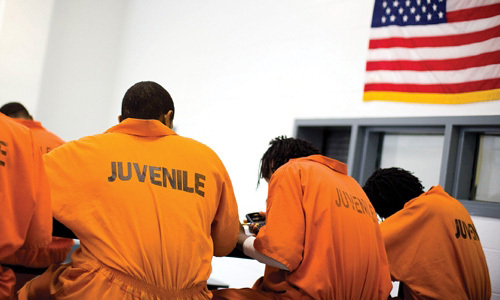 Early age of criminal teens can be hard and full of hardships. The logic and symptoms collected through the research are useful if a parent really wishes to keep the kids safe from being a criminal. Proper attention from family and parents, availability of finance and money, not letting teens join evil companies are the few handy measures every parent can take to help their kids save. 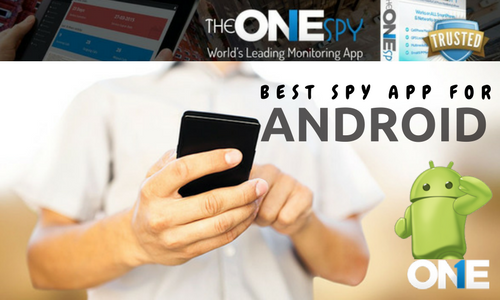 For the teens that are adroit in cyber bullying, the employment of monitoring and spying tools like TheOneSpy monitoring application will be matchless. The app is indeed designed for better parental control and proffers unlimited features typically targeting to gain improved control over the kids. A recent study revealed that the teens-turned-adult criminals must have been bullies and caught the influence from their first invaders. Here in the post, we will highlight how teens turn into criminals, what are the incredible facts about criminal teens and how parents can deploy handy tools to help their teens prevent from becoming gangsters. Previous post How to Catch Employees Who Take Days-Off with Lame Excuses? Next post Infographic – How Can Parents Sustain Healthy Relations with Their Teens? What is The Best Spy App For Android Phone in 2019? Parental Control on Samsung Device – Consider it done!